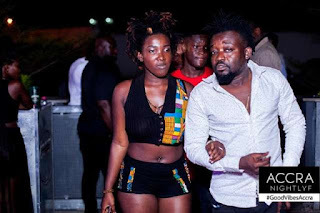 The manager of late Afro-Dancehall artiste Ebony Reigns has finally broken silence on the shocking death of his artiste. Ebony Reigns died in a gruesome road accident that occurred late Thursday evening on the Sunyani-Kumasi road. According to police, the 20-year-old singer, her P.A and a military officer were on board a Jeep with registration AS 497—16 from Sunyani heading towards Kumasi when it collided head-on with a VIP bus heading towards Sunyani from Kumasi. Reacting to the incident, Ricky Osei Agyeman ‘Bullet’ told Pulse.com.gh that the death came to him as a shock and still believes it’s a dream. He said he is currently in Germany waiting for Ebony to join him for the 2018 edition of Ghana Meets Naija (Belgium Edition) when the news came to him. He continued that he is yet to speak to her family but will do that immediately he arrives in Ghana.